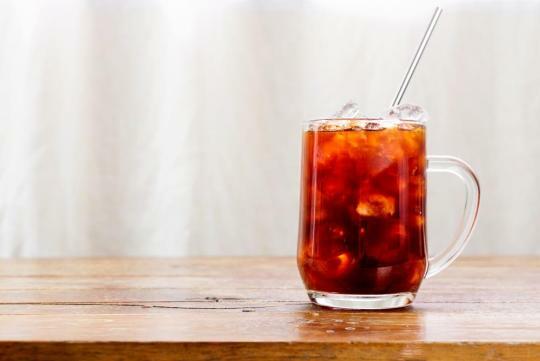 Cold brew is more than a slowed-down version of hot coffee. Hot water will bring out the acids in coffee, a characteristic that professional tasters call “brightness.” Cold water doesn’t but still gets the full range of mouthfeel and sweetness. 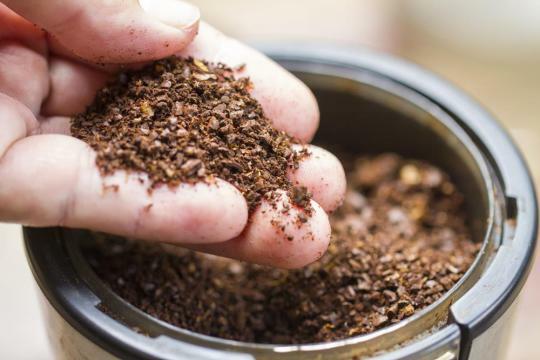 Coarsely grind the coffee: Grind the coffee beans on the coarsest setting on your grinder. If you don’t have one, you can get our Everyday Ground Coffee. 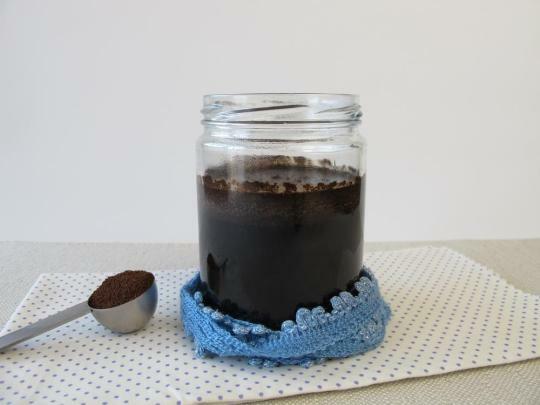 Combine coffee and water: Transfer the coffee grounds to a container then pour water on top. Make sure the grounds are thoroughly saturated with water. Steep overnight: Cover the container and let the coffee steep for about 12 hours. The coffee can be refrigerated or left on the counter. 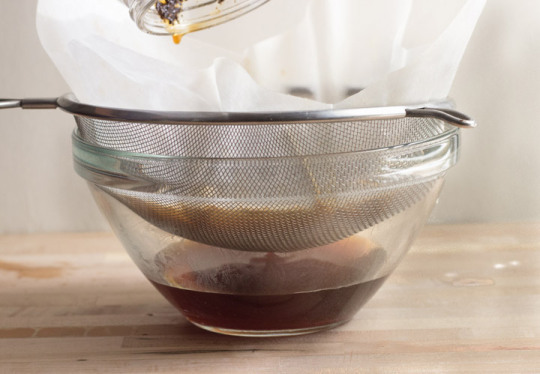 Strain the coffee: Line strainer with cheesecloth and place it over a bottle or jar then pour the coffee through the strainer. Store coffee in the fridge: Cold brew coffee can stay fresh up to 2 weeks. Use 15 - 18 grams (one tablespoon is about 7 grams) of coffee per serving. Use about 80 grams of ice (or a small handful) per serving. Use about 170 grams of water (or about ¾ of a cup) per serving. Heat the water up to a boil and let it sit for about 30 seconds. Grind the coffee to a medium fine consistency. Drop the ice into the brewing vessel. Place the filter into the brewer. Dump the ground coffee into the filter. Pour just enough water to cover the grounds. Let it rest for about 45 seconds. Slowly pour the remaining water over the grounds. Most of the ice will melt by the time the last drops fall from the filter. Give the brewing vessel a few good swirls to evenly distribute the water and melt the residual ice. Pour the brewed coffee into a glass with ice and enjoy! How To Make Cold Brew Coffee by Good Coffee.